Dyret is an animal in evenings. Catches fish when those swimming pupae are out. 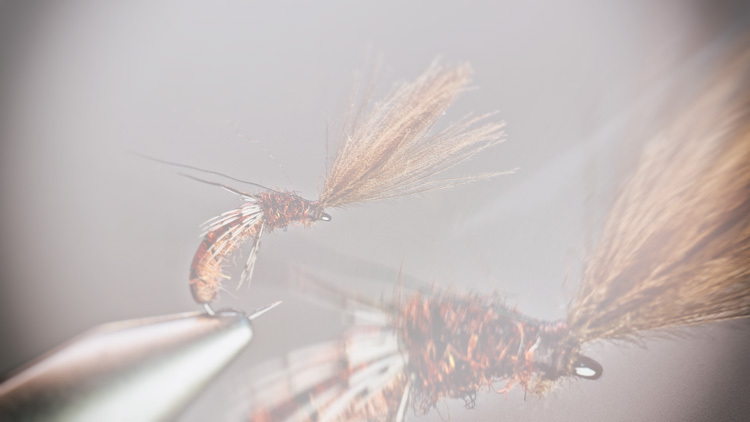 A great caddis imitation by one of the great creative fly tiers from Rena, Norway. The Stonefly Caddis does great on a caddis hatch. Equally it can be fished as a egg laying stonefly. 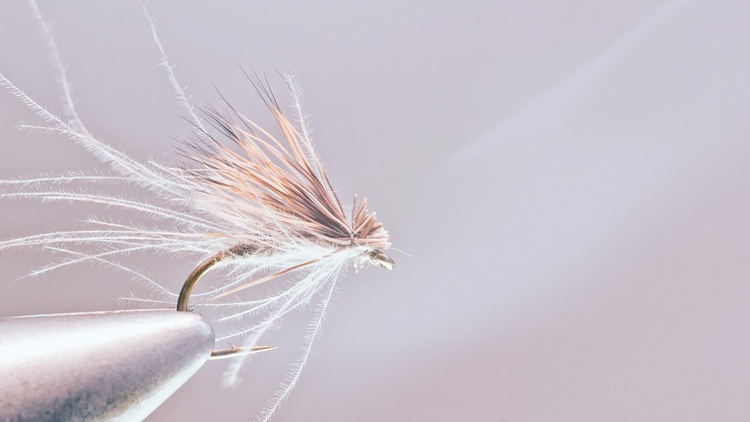 The CdC under the deer hair wing creates fuzz and life on the surface, just like those busy egg laying stoneflies do. On the water, the caddis is a lively fly. Never resting, always whirling and poking around on the water film. This fly is my go-to caddis with a nice surprise. A CdC feather is palmered on the shank to create the illusion of movement and legs. Gary La Fontaine spent time under water studying emerging caddis pupae. His studies resulted in a revolutionary caddis pupae concept – The Sparkle Pupae and the Deep Sparkle Pupae. Here’s the Sparkle Pupae with a couple of twists. 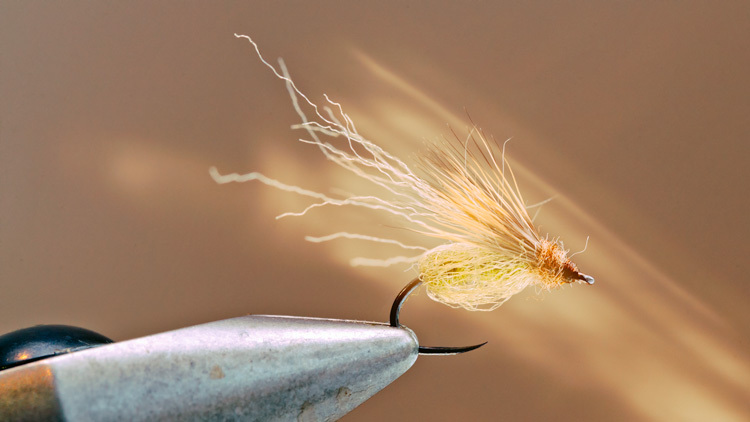 The Rena Caddis Emerger is my own variation on the caddis emerger that I find particularly effective in the River Rena (Renaelva) during normal conditions. Even though most caddises does not emerge in water, I find this pattern particularly effective during the early stages of a caddis hatch.